Zimbabwe is no exception and the leadership of the country takes great pride in the historical narrative of the country, particularly that of the liberation struggle. During the early study of African historiography, the general consensus among European historians was that Africans, mainly in sub-Saharan Africa, had no history. This perception was brought on by the fact that Africans at the time had little to no written record of their past. Most of what was written on African societies, outside of North Africa, was done by Portuguese traders or other European missionaries during their travels across the continent. Historian David Chanaiwa posits that southern African history was viewed as an extension of European history and especially as an aspect of the British Empire since 1783. In the field of African historiography, this myth that Africans had no past and story of their own was debunked as Africans became literate and began to write their own tales. The fields of archaeology and anthropology also contributed to telling African history from an African perspective. African historian John Tengo Jabavu, who wrote in the early 20th Century was keen on Africans telling their own stories. He famously pronounced that “it takes a native to know a native,” and stated that his writing was to the benefit of future African researchers. Over time much has changed in the field of African historiography with a large number of African historians and writers from all over the continent. Zimbabwe is no exception and the leadership of the country takes great pride in the historical narrative of the country particularly that of the liberation struggle. What is disappointing to note though is how little has been written about that revered history by those who partook in it. Although it has been proven that Africans do have a history, in the case of Zimbabwe much of that history remains written by white historians and authors. The old myths that Africans do not write come back to the fore. Zimbabwe has an extreme lack of autobiographies and memoirs, particularly by those who partook in the liberation struggle and those who have been in political office in the country. 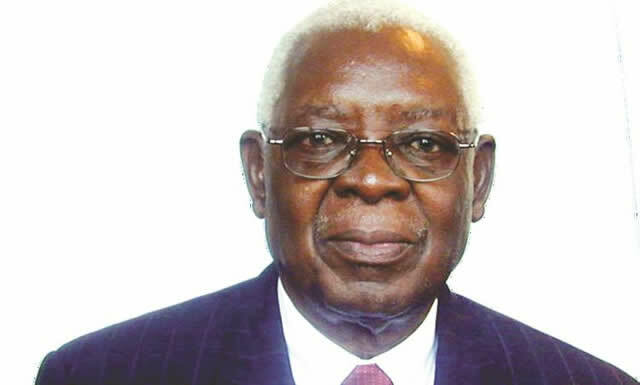 Aside from Cephas Msipa, who recently launched his memoirs titled “In Pursuit of Freedom and Justice: A Memoir”, few other political figures in Zimbabwe have done the same. The list of post-colonial memoirs and biographies comprises of a few individuals, some who fell out with the ruling party Zanu-PF. The late National Hero, Edgar Tekere, who wrote A Lifetime of Struggle, Ambassador Agrippa Mutambara wrote his book, The Rebel in Me and the late ZANLA and ZIPA officer Wilfred Mhanda penned his memoirs titled Dzino — A Memoir of a Freedom Fighter. This dearth of information leaves those that have written as authorities on the subject of Zimbabwean history with few other sources to cite from. When those outside of Zimbabwe or interested readers 100 years from now look for material on the birth of Zimbabwe, it shall be those who have written who will be read and quoted. The problem, however, comes when those who have written are said to have written an inaccurate record of what happened. The question is then, which or rather whose narrative of the liberation struggle provides this illuminating broader perspective of the zanla and zipra dynamics during the liberation war years? The truth is that in terms of liberation struggle history, black Zimbabweans remain on the periphery of the subject with authorities being the likes of the late Terrence Ranger, David Martin, Phyllis Johnson, Julie Frederikse and Peter Godwin. It is somewhat ironic that after the years of struggle for independence and majority black rule, it is the white minority who hold the narrative of what transpired. Should one look for a book on President Mugabe for example, all of them have been written by white authors. Walter Benjamin said that “history is written by the victors,” however, in the case of Zimbabwe, if this statement were to hold true one would be hard pressed to be convinced that Zanu-PF won the liberation war are they have till now failed to write that history. In 2013, when Zanu-PF emphatically won the national elections the party was also celebrating its 50th year of existence, Zanu having been founded on August 8, 1963. Surprisingly there were no celebrations to honour this feat. There was no book launch tracking the 50 year history of the party. In fact Zanu-PF itself has no book on the history of the party. Despite recognising the need for this and passing a resolution to do so, the Party is yet to deliver on such an important institution. The need for the Chitepo Ideological College is however necessary as it will share more on the history of Zimbabwe as well as guide the national narrative going forward. Although he goes on to say that Zanu-PF’s history illustrates this key truism it is unfortunate that the Party has failed to record its history and big ideas to guide future big ideas. Hence if one is to concur with Manheru on this absence, it is rooted in the fact that there is no record one can refer to as a foundation on the ideals, values, principles and ideas of the Party. What is interesting to note though is that in pre-colonial Zimbabwe there was a lot of by black Zimbabweans that guided the national struggle for independence. Founding President of Zanu-PF Ndabaningi Sithole wrote and very important book titled African Nationalism in 1959 which guided nationalist ideology for black people in Rhodesia and was in fact banned by the Rhodesian government. The late Cde Nathan Shamuyarira also wrote a few books during the colonial period, an important one being Crisis in Rhodesia published in 1966 after Ian Smith’s Unilateral Declaration of Independence. It serves as a historical record of the progression of the early nationalist movements and their relationship with the Rhodesian government. Sadly in the post colonial period many of these individuals did not add to their collection of writing. Aside from the aforementioned writers and other such as Joshua Nkomo, Maurice Nyagumbo and Didymus Mutasa, who have written biographies and memoirs, there exists only fragments of primary source information on the history of zanu or Zapu or the individuals who took part in the liberation struggle. Those who fought for this country should take on the challenge to share their memoirs with Zimbabweans particularly the youth. This will not only immortalise their contribution to Zimbabwe’s independence but guarantee that the national narrative and ethos will forever be guided by the majority black indigenous Zimbabweans.